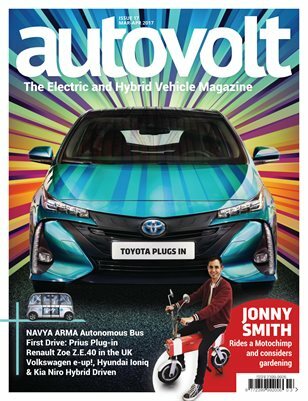 Main features are: • EVs and Hybrids in pictures • EV & Hybrid latest news • Tom Curtis’ Leaf - Part three • Gear, tech and gadgets • COLUMN: Jonny Smith • FIRST DRIVE: Toyota Prius Plug-in • TECHNOLOGY: NAVYA ARMA autonomous shuttle bus • REVIEW: VW e-up! • FIRST UK DRIVE: Renault Zoe Z.E.40 • INSIGHT: Is a bigger battery always better? • REVIEW: Hyundai Ioniq & Kia Niro Hybrids Dual Test • Handy guides included with each issue. • Rear View: Should the first MOT be after four years?